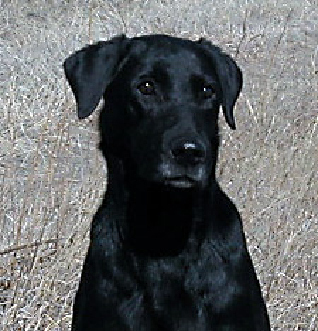 Kate was not initially trained as a pointing Lab, she was just a pup gotten to be a good hunting dog by Jim Bonham from an old friend of his who bred his female to AFC Twist and Shout MH. However, Kate pointed and pointed a lot. She was first trained as a conventional retriever and when the pointing continued began to be trained with enhancing the point in mind. She ran her first APLA event one weekend and passed the Certification with a perfect score, passed the Intermediate (which is now the Advanced title) and then passed the Master test that same weekend. She went to an APLA test the following weekend and got her GMPR title and was in and out of the APLA world in a ten day time frame with virtually perfect scores in everything. She is currently one of the most field titled pointing Labs in the country, and has produced multiple GMPR’s, MH’s, and other advanced titles including field trial Qualified All-Age pups. Though a snobby girl by nature, Kate was a cherished member of her family with her own basement in the house, had her own pet cats and was as loved as any dog could be. In the field she became purely business and pointed often better than pointing breeds around her. Kate set a standard for natural point that can’t be improved upon, only equaled as best. She was a Queen and she was always highly aware of that fact.